Disney Cruise Line will return to favorite destinations and home ports on a variety of itineraries, including adventures to Bermuda, Bahamas, Baja, Canada and the Caribbean. With cruises ranging from two-night getaways to weeklong vacations and beyond, this season of sailings offers countless opportunities for families to delight in Disney magic, explore exotic locales and make lifelong memories together. There are already some great incentives to book your next Disney Vacation with The Magic For Less Travel. But did you know that you may be eligible to receive incentives even if you’ve already booked your vacation directly through Disney! Simply TRANSFER to The Magic For Less Travel any existing reservation made directly through Disney that is within 30 days of the initial booking and has not yet been paid in full. Plus, when you transfer or book a reservation with The Magic For Less Travel, there are never fees of any type. You will be assigned a travel counselor to answer all of your questions, provide you with magical tips for your trip and assist you will building your cruise itinerary. To discover what cruise incentives your reservation may qualify for and any restrictions that may apply, please contact The Magic For Less Travel for details. Here’s a quick easy way to earn a $25 Disney Gift card from The Magic For Less Travel. Refer a new client to The Magic For Less Travel. If your referred guest books a Disney trip, you’ll get the gift card. There are only a few stipulations. 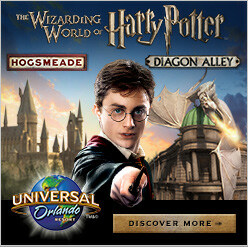 The referred guest must be a NEW Guest who has never booked with The Magic for Less Travel. 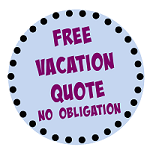 They must book a trip of $1500 or more and must mention your name in the “comment section” of the quote form “at the time of submitting” a quote request. Once your referral travels, you will be sent a free $25 gift card. That’s all there is to it! 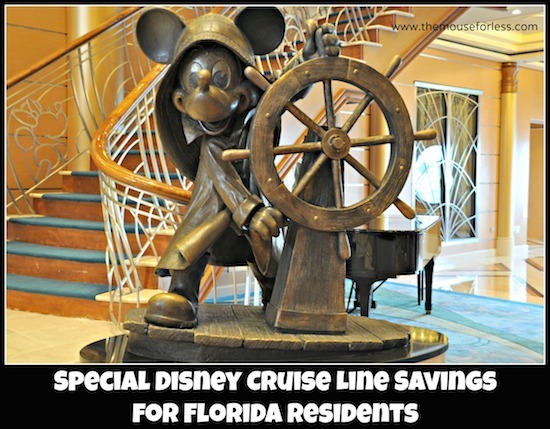 This offer is good for any destination booked through Disney: Walt Disney World Resort, Disneyland Resort, Disney Cruise Line, Aulani, Disney’s Hilton Head Resort, Disney’s Vero Beach Resort and Adventures by Disney vacations. Please note that international guest who refer a guest that books a Disney vacation will alternatively be offered a credit toward their next Disney vacation booked with The Magic For Less Travel. 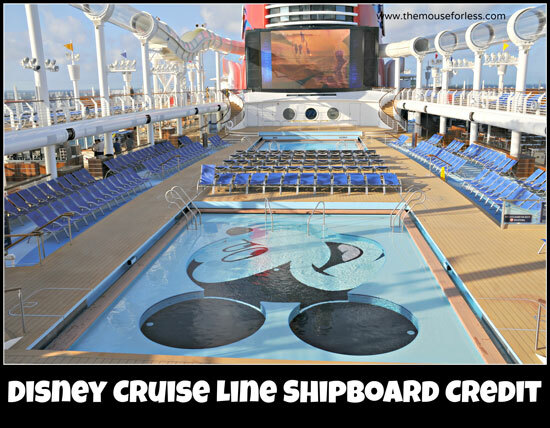 Shipboard Credit for Disney Cruise Line Sailings! Receive up to 5% of your cruise price in shipboard credit exclusively from The Magic for Less Travel when you book any new Disney Cruise Line Sailing. This is not a rebate or check you will receive after you cruise; this is a shipboard credit you can use on your cruise! Use your credits for shopping, shore excursions, spa treatments and more. Cruises must be booked by 4/30/19 to qualify for this promotion. *Shipboard credits above are provided as examples and guests will receive shipboard credits of 5% for each thousand dollar increment of the base cruise price. This offer is for new reservations only. Please ask about the shipboard credits available for reservations booked onboard or transferred to The Magic for Less Travel. When determining your shipboard credit, the credit is calculated on the price of your cruise only and does not include the price of air tickets, gratuities, excursions, taxes, and any non-commissionable options. Shipboard credit has no cash value and any unused portion is forfeited. **For reservation transfers, please contact The Magic For Less Travel for information on what OBCs your reservation may qualify for. To make your onboard booking, look for the future bookings desk, Deck 4, Midship, or consult your daily Navigator for locations and times. 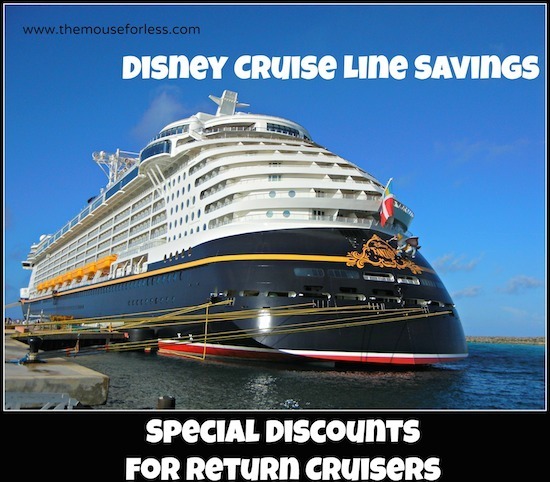 A deposit is required per person at the time of booking, but with the off-the-top discount and OBCs ranging from $200 for a 7-night cruise or $100 for a 3-night or 4-night cruise this is a really good deal. There is no discount for suites staterooms, but guests will receive the onboard credit. Offer valid for Categories 4–11 only. Offer not valid for concierge level categories, IGT, OGT and VGT Categories with Restrictions and 2-night cruises. All staterooms must be booked and deposit paid while on board. Deposit policies vary by itinerary: sailings 6 nights or fewer are not eligible for a reduced deposit; 7-night sailings and longer are eligible for a reduced deposit. Guests making a booking on board must sail within 24 months after the date the original booking was made on board. This offer is limited to two staterooms on one future cruise date (per household sailing). Additional staterooms may be booked at the current prevailing rates. This is offer is nontransferable; name changes to the reservation may be made so long as one adult on the original booking remains on the reservation. 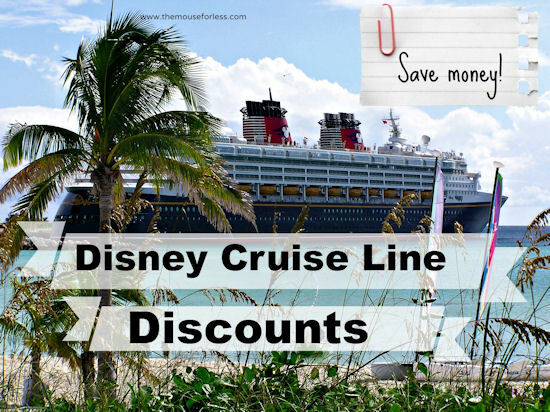 Other Disney Cruise Line discounts do not apply. Important Info for Clients of The Magic For Less Travel: If your original cruise was booked through The Magic For Less Travel, just let the Onboard Sales Manager know you would like to retain your current agency to manage your reservation. Contact The Magic For Less Travel for additional information about booking a return cruise while onboard. All amounts subject to change. Gratuities and excursions are not included. See Disney Cruise Line website for applicable Terms and Conditions. The following Per Person Lead Rates are available through through April 30, 2019. *Rates in U.S. dollars and valid through dates indicated. Offer is subject to availability. Other restrictions may apply. All amounts subject to change. Gratuities and excursions are not included. See Disney Cruise Line website for applicable Terms and Conditions. †Category VGT Staterooms require full payment at the time of booking for all Guests and are non-refundable. Category VGT staterooms require full legal names of all Guests at time of booking: no name changes are allowed. Specific stateroom will be assigned at a later time, based on availability for all Category VGT staterooms. Special Military rates are available to all retired and active U.S. Military personnel (or spouse), including U.S. Air Force, U.S. Army, U.S. Marines, U.S Navy, U.S. Coast Guard, U.S. National Guard, U.S. Army Reserve and U.S. Department of Defense personnel. Active and retired members (or spouse) of the U.S. military must provide valid identification at time of check-in. This offer is limited to a maximum of one stateroom per military member (or spouse), per sailing. 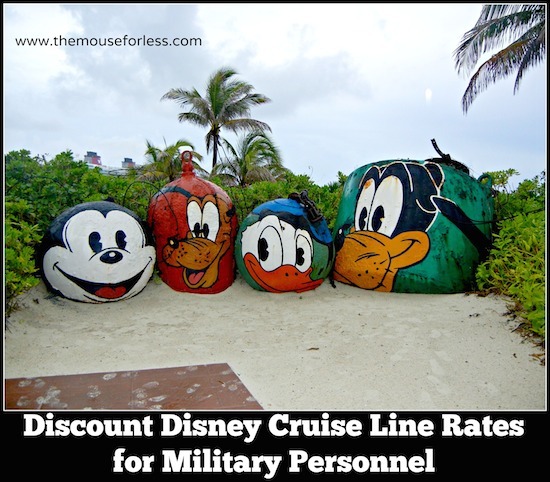 A U.S. Military service member (or spouse)* is required to sail to take advantage of this offer. Activated members (or spouse) of the U.S. National Guard or the U.S. Army Reserve must also show active duty orders (active duty papers must be dated as of January 1st of the previous year to qualify). *Active duty or retired military personnel and 100% permanently disabled veterans do not have to travel as long as their spouse has a valid military ID. Book By: Offers change weekly & are updated each Monday. Restrictions: Military personnel must be traveling with the party, and a military or DoD ID or activation papers are required within 48 hours of booking Military rate. These rates are limited to 50 staterooms per sailing. Book By: Offers change weekly and are updated each Monday. Booking Code: FLR Restrictions: proof of Florida residency must be submitted within 48 hours of booking. Failure to submit complete identification will result in a cancellation with applicable cancellation fees. Canadian residents can sometimes save up to 25% per passenger on prevailing rates. Proof of Canada residency required at time of booking. All discounts are subject to availability and are not offered on a consistent basis throughout the year. When available, the discount code is CAN. 4-Night Bahamian Cruise from Port Canaveral on May 27 and June 3 (categories 4a-11b)- on the Disney Dream. Call upon historic Nassau for a day of shopping, sightseeing or water park fun at Atlantis Aquaventure. Head to Castaway Cay—our own piece of paradise in the Bahamas—where games, watersports and private beaches await. Back onboard, soak up Broadway-style shows, enchanting themed dining, delightful deck parties and activities for the whole family.Taxes, Fees and Port Expenses of approximately $66 USD are not included. 5-Night Bahamian Cruise from Port Canaveral on July 7 & July 12, 2019 – categories 4a-11b on the Disney Dream-Strike a balance between relaxation and adventure during this “double-dip” roundtrip cruise from Port Canaveral, granting you a day in Nassau and 2 opportunities to play at Castaway Cay. Envision swaying on a hammock at Serenity Bay with your favorite beverage in hand, pedaling up and down quaint bike paths or challenging your core with stand up paddle boarding. The possibilities are endless.Taxes, Fees and Port Expenses of approximately $66 USD are not included. 7-Night Alaskan Cruise from Vancouver on June 24 and July 29, 2019 – categories 5a-11b on the Disney Wonder – Sail from cosmopolitan Vancouver—yours to explore before or after your cruise—along the scenic Inside Passage and through the magnificent fjord of Tracy Arm. You’ll also call upon the historic mining and fishing towns of Skagway, Juneau and Ketchikan and enjoy 2 days at sea to take advantage of the many onboard amenities on your Disney cruise ship. Taxes, Fees and Port Expenses of approximately $193 USD are not included. 7-Night Alaskan Cruise from Vancouver on September 2, 2019 – categories 4a-11b on the Disney Wonder – Sail from cosmopolitan Vancouver—yours to explore before or after your cruise—along the scenic Inside Passage and through the magnificent fjord of Tracy Arm. You’ll also call upon the historic mining and fishing towns of Skagway, Juneau and Ketchikan and enjoy 2 days at sea to take advantage of the many onboard amenities on your Disney cruise ship. Taxes, Fees and Port Expenses of approximately $193 USD are not included. 7-Night Halloween on the High Seas Mexican Riviera Cruise from San Diego on October 20 & 27, 2019 – categories 5a-11b on the Disney Wonder -Visit an eclectic variety of Mexico’s hottest ports of call on a week-long cruise packed with first-rate live shows, themed pools, kids clubs, signature dining and much more.Taxes, Fees and Port Expenses of approximately $128 USD are not included. If booking through our Contact Center, must mention code CAN. Offers may be applied to existing bookings if requested by caller. Visit our Disney Cruise Line Itinerary page for more information about sail dates and itineraries. 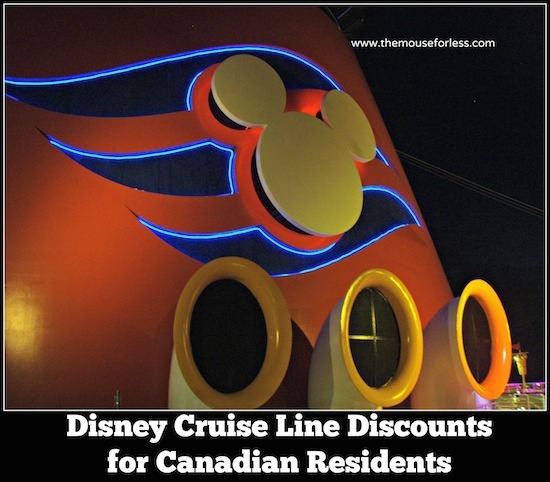 Canadian offers, when available, are combinable with the Magic For Less Travel’s Exclusive Onboard Credit Offer for an additional savings of up to 5% of your Disney cruise price. Ask your counselor for more details. Disney Cruise Line Castaway Club enhances your cruise experience with priority planning privileges, onboard exclusives and members-only benefits. Once you complete your first Disney cruise, you become a Castaway Club member with benefits based on the number of times you sail. You can also read the latest edition of the Castaway Club eCompass online at DisneyCastawayCompass.com. You will need to know your Castaway Club identification number to log in. Advance booking of shore excursions, child care at Flounder’s Reef Nursery, fine dining at Palo and pampering at Vista Spa & Salon. While Guests sailing for the first time can book 75 days in advance of their sailing, Silver Castaway members can pre-book 90 days before sailing. Gold Castaway members, 105 days. And Platinum Castaway members enjoy the option of booking a full 120 days prior to sailing. Special benefits for all Castaway Club members designed to make your next Disney Cruise even more magical.